a.k.a. The first year I've done this. Yeah I'm a sheep. Baaaa. 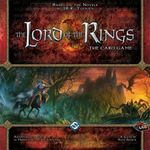 Usually I jump on a trend that's been overdone and then heap a few spadefuls of satire on top of the dying corpse, sit back and rake in the cheap and easy thumbs from the rest of you lot who have ended up sick with a dozen geeklists looking at "cats in a box" or "my top 40 games with no vowels in the title" or "one game for each year of my life" or whatever and are happy to see "snakes in a box", or "my top 40 vowels with no games in the title" etc etc etc. However this time I'm part of the problem and not the solution. I've been on BGG for yeeears now, ever since I was a handsome, virile young man, full of vim and vigour. While I can sense a squirt of vim from time to time, my edges rub softer and my sharp wit has softened into a cheery glint in my ageing eyes. Anyway blah blah blah. Here are my top 50 games as of this year. I'm poor so can't buy all the new games. I've also spent 5 years in Japan with limited gaming convention options outside of the odd foray to Osaka....and now have a year old daughter meaning that my heroic return to The Cast Are Dice was tempered somewhat by needing to keep her happy. So yeah, excuses excuses. I still have plenty of games I love and after a relatively scientific method of sorting the wheat from the chaff, the sheep from the goats and those boring plain black ones from the rest of the Liquorice Allsorts, here are my top 50 games in all their reverse countdown glory! ...is sneaky sneaky Scotland Yard. A game where one player plays the sneaky (did I mention sneaky?) Mr. X. who is trying to evade the police (played by the other players) for long enough to slink away into the seedy London underbelly. Numerous other games have used this style of play to different extents (Fury of Dracula, Nuns on the Run, Pyramid etc) but for me Scotland Yard remains the...."purest" I guess. There's a huge amount of tension, especially for the Mr. X. player as he silently prays that the nearby policeman doesn't come in his direction. While the other players, working together as the police, desperately try to crack the pattern of Mr. X. 's movements and capture him before it's too late. A real classic and it's pretty cheap and easy to find second hand or in charity shops too! ...is the somewhat-maligned Napoleonic "war" game from Martin Wallace. It managed to cause much grumpiness among wargamers (wooden horsey and soldier meeples?!?!?!) and Eurogamers (WAR?) alike but, in my opinion, offered some really interesting gameplay concepts. I liked how players drew how many "turns" their opponent got each round of the game. I loved how casualties were marked with wooden cubes and were shifted around the player's forces to show reinforcements moving forward and the injured moving to the back. I even enjoyed the horseys and men lying down and standing up. I think there's plenty to love in this game and it deserves better than it sometimes gets. ...is a game that would have been higher on this list a year or two ago. It's a game with a cheery rulebook (as is the publisher's want), lovely bits (as is the publisher's want) and a rather splendid mechanism for building your junky old ship (turn over tiles using one hand and place them onto your ship planning board. When everyone has raced to finish their ship it's then time to fly through the dangers of outer space (asteroids! pirates! intergalactic flotsam! jetsam! nothingness!) to deliver your load to the big bosses. The majority of the fun in the game comes from everything going wrong - chunks of ship being blown off into space, realising that the position of your cannons has left them practically useless, losing all your storage space to the endless vacuum (space, not the Hoover variety). It's a chuckle. I like games that are a chuckle. ...is the about-as-Japanese-as-flat-ended-chopsticks Call to Glory - a rather attractive set collectiony game from Michael Schacht. First I must make an admission that I've never played the physical copy, just the Yucata online implementation which is nonetheless an enjoyable experience. Each "suit" of cards (including ninja, the woman in bridal wear, the grumpy warrior etc) is worth a different number of points to whoever has laid the largest group into the middle. It's pretty straight-forward in many ways (draw a couple of cards and then either discard one or play a set) but there's a cool back-and-forward as the two players keep outdoing each other to fight for "control" of the different suits. I do love a good card game and this one is one of those. ...with no Michael Caine in sight is solo-tastic Zulus on the Ramparts! A game I received earlier this year in a Maths trade and have only just managed to win at. As with loads of solo games, a lot depends on the luck of the draw and how mean the game "decides" it's going to be. The theme is pretty deep and interesting, with plenty of story (of both the battle itself and of the game development) in the rulebook. This newer version has cool pieces and good graphics to go along with the gameplay and although it's not my favourite solo game (SPOILER ALERT!) I still enjoy getting out to defend the hospital, warehouse et al against the brave Zulu warriors. ...also isn't my favourite solo game, although it's another great one. I haven't played Phantom Leader much since receiving it. That's not down to the lack of quality in the game, more that the rules are quite involved and it takes some time to set up and play. Having said that, the game itself tells a fascinating story of a squad of pilots flying missions during the Vietnam war. That's what drew me most to the game - the continuing tale of the pilots as they fly mission after mission. You have plenty of decisions to make - what pilots to take, how to arm their planes, what mission to actually choose, whether to give a highly stressed pilot the day off...it goes on and on before you even get to flying the mission. As your pilots get closer to their target, enemy planes come flying at them, ground ordinance fill the air with explosions and even infantry are firing their rifles up at the sky. The game whiffs of theme, of story and of danger and it's highly enjoyable and tense in equal measures. ...Is a little known abstract game designed by who may be the most seemingly charming fella on God's planet. In fact, just watch this video. After all, it's what won me over to the game. ...as Japanese as whale sashimi and perverts taking photos of schoolgirl knickers on the subway. I like String Railway: Transport. I like the fact that you lay out the map with strings. I like the fact that it has a stringy mountain and stringy railway lines. I like the fact that it's actually pretty short and that it really doesn't outstay its welcome. I like the fact that my wife enjoys it and has probably won more often than me. I like the fact that it just makes sense physically - string doesn't reach? Tough. String has to cross someone else's? That'll cost more. ...is a game that used just a few(ish) cards and counters before it got fashionable to use just a few cards and counters...It's "should I, shouldn't I?" classic No Thanks! (The exclamation mark is very important). No Thanks! is easy really. Card gets turned over. Either put a counter/chip on it if you don't want it, or you can take the card, scoring the points value on it. Points are bad so ideally you don't want cards at all. Thing is, you don't have enough counters/chips to avoid taking any cards and if you DO take a card then you take the counters/chips the other players put on it to avoid taking it....You see! Counters/chips are also worth -1 point so they're good to have at the end. Genius. No Thanks! is probably my favourite of my holy trinity of No Thanks!, Coloretto and 6 Nimmt! - all great games that are mean and nasty despite looking all lovely and innocent. Mwahaha. ...almost surprised me when I realised where my clever ranking system had put it. Then I realised that I actually do enjoy it enough for it to be here. It's good fun, but only when you're up near the full player count. I like the fact that the central mechanism is poker dice. Everyone rolls a handful of them and looks at their results secretly under a cup. They can keep the result of one dice (or more if they pay money to) and everyone re-rolls, keeping one (or more) until someone has all their dice set aside. Then you work down the old stereotypical wild west street and hand out the rewards. If you got the most 9s then you get gold, most 10s gets you some cash from the bank, most jacks gets you a card from the general store, most queens allows you to take a card from someone, most kings makes you the sheriff and most aces gets you land. What I like is that there's even a part of the game where the losers get to visit Doc Badluck and get themselves a reward that can actually be more powerful than the actual rewards. Ultimately the theme is cool and sitting around rolling the dice really adds to the pokery, cowboy feel. Fair play, it's a fun game and yeah it deserves the spot in my top 50 afterall! I was right first time! ...is Uncle Tony Boydell's wooden cube-tastic brainburner Totemo! I dunno why I call Uncle Tony Uncle Tony 'cos he's not actually my uncle. Perhaps I just dream that when he pops his clogs and shuffles off his mortal coil I can stake a claim to his ill-gotten gains gleaned from him flogging off his game about riding around Welsh mountains on knackered old trains. Totemo is NOT one for those with Analysis Paralysis. It's very much a "what's the best score I can get from playing these cubes?" In theory you're building totem poles blahdiblah. The cool thing is that there is a colour wheel and so your coloured cubes can only be placed next to certain colours. For example purple can only go next to purple, blue and red while yellow can only go next to yellow, green and orange....Or on top of, cos this game is in true 20th century 3D baybee! There aren't that many copies floating around and I managed to get my good FLGS owner mate in Japan to get hold of a few copies so that I could get my greedy little mitts on one. So kudos to him too. ...is another one of Martin Wallace's more sniffed at games. Tempus was a huge victim of its own hype. IT'S CIVILISATION IN 90 MINUTES! They said. IT'S THE GREATEST THING SINCE AMISH BEARDS! They said. Well they were wrong. The almighty "they" hype machine of destruction. In being so wrong they ruined it for everyone else and there was a major backlash seeing Tempus languish in the dreaded 6.somethings of the BGG graveyard. Thing is, Tempus, when taken for what it actually is, is a groovy game. Yes you're kind of all civilisations and yes you're all spreading out, fighting, building cities and taking over land....But it's much more abstract really. Along the way you "have babies" or "have an idea" and at the end of each round, one civilisation who scores the highest in a certain area (most counters in forests for example) gets to jump ahead and gain a stronger position than the others (an extra turn, the ability to move a space further, the ability to move across water) but then the next turn everyone rubberbands back together (because of course throughout history once someone learns something, all the others finally catch onto it) and someone else might edge ahead for a turn. Ultimately I like it and that's the most important thing. Don't get to play it much though because it's stinky with two. ...is the most refreshing wind of theme that there has ever been in board games. I bought it on the theme alone in fact, partly because I knew some of you miserable b*stards would sniff with indignation at a game about FASHION and putting on fashion shows. See, it's an epic theme. Far more interesting than another zombie game, or another sepia-tinged trading game, or some boring fantasy nonsense. Even the cover is magnificent. The game itself is a tough-as-anything worker placement, sneaking under the pretty veneer. Money is tight (you'll be taking loans), options are many but workers are few, competition is cutthroat. It's a legitimately great worker placement game that would no doubt be much higher in my rankings if I could actually manage to play it more. Again it needs 3 or 4 and, while my wife is more than willing to play, the rules are pretty tough to go through with new folk. I shouldn't really let that put me off though because it's well worth it. Maaaan I need to play this again soon. I finally got to play it around 18ish months ago and really enjoyed myself. In fact it left a lasting impression on me with it's pleasant theme (wandering around the Himalayas with your yaks, picking up and delivering goods and erecting stuff to show how wonderful you are), it's lovely pieces (mmmm plastic yaks...and fellas....and stuff) and the cool nature of the central mechanism. Basically, like Roborally, you're planning your move at the start of the turn and then everyone just reveals and you all make your moves in turn and then you realise that the person to your left took what you wanted to take, screwing up your whole turn and leaving you weeping on the mountainside because the local village doesn't want your stupid red cube that you had to take instead. The other great thing is that throughout the game you're placing three different types of "thing". Whoever has the least of one of them is automatically out at the end. Whoever has the least of the next is out and whoever has the least of the next is out, leaving the winner. This means that you can't just focus on one because being low in the others will see you losing before you get to boast about how dominant you are at erecting your shrines or whatever. If you can hunt down someone with a copy I really recommend you giving it a try. It's a truly fantastic game. ...rather wonderfully has a piece that represents a fat, lazy American tourist who would rather sit on a train for an hour than walk for five minutes. Ahhhhh, lovely. On the Underground is why I've never cared for Ticket To Ride. I love the fact that the famous London Underground map (simplified for the game of course) lies empty at the start as the players compete to build their coloured tracks around the capital, enticing the tourist to use THEIR tracks to earn them points as he travels to the different stations. As you play, the map sprouts colourful tracks that snake around a mixture of useful and ridiculous routes. Bonus points can be snaffled and opponents can be mercilessly blocked. My wife and I like On The Underground. Particularly as a two player game. If you've not played it before it's worth checking out. ...is a game that I thought I would hate when I first heard about it, but it turns out that I really like it! When I first saw stuff about Libertalia it sounded kinda lame. It's a game about pirates! (yawn) where everyone has the same cards and you play them against each other to see who wins (War...?) Fortunately I ended up in a game of it and enjoyed it so much I had to play it again the next day (and could in fact teach it after that one play). What is great about Libertalia (besides the stunning artwork) is that every card has a different ability, a different phase in which it scores points and, best of all, how good the card actually IS depends on the situation at that point of the game. There's never a perfect strategy, it's impossible because every game is different, therefore every card plays differently depending on what other cards are around at the same time, how early or late in the game the card comes into play and how much treasure or other goods you have! That's clever. ...is the grandaddy of civilisation games.....Civilisation! Or Civilization if you're of an American persuasion. This is actually one of the first games I bought on my return to board games (i.e. after the Scrabble, Risk and Monopoly of my youth....ahhh a familar tale!) At the time I really loved it but over the years I just haven't been able to play it very much at all and as such my adoration of it has faded a little. Still, there ain't many better ways to spent a whole day of board gaming than getting half a dozen mates together to sit down and churn through this huge beast. ...requires me to turn over my sheet of paper, so erm, uhh....AH IT'S PITCHCAR MINI! How lovely. I got Pitchcar Mini rather than Pitchcar for three main reasons. 1. I have small tables. 2. It's cheaper than the big version and I'm a poverty-stricken Fagin-like character. 3. The big version was out of stock at my FLGS at the time and I'm also incredibly impatient. Still, Pitchcar has seen a lot of use at school, at a stag party, at Christmas and New Year parties, at game nights...the list goes on. Basically, Pitchcar seems to always be a winner. Maybe I've overplayed it a little too much for it to be any higher than 33 for me and maybe I'm just too fed up with having to push the red barriers back into the slots after they ping out for the hundredth time, but otherwise it's a load of flicky, racey fun that allows for huge cheers after phenomenal flicks and huge laughter after pathetic flicks. Cheers and laughter? That's gaming right there that is. ...is either Lord of the Rings: Living Card Game or Android: Netrunner. I can't really decide which and it depends on my mood. Both have things going for them - LOTR has solo play which is good 'cos my wife doesn't like it. It's also pretty straight-forward to play through once you get to grips with it. My wife doesn't like Netrunner either but I have a friend who does. I like the thematic feel of it and the card art as well as how the mechanisms blend well into what you're supposed to be doing in the game. It's a lot like that PC game UPLINK from a while back - it feels like you're attempting to hack or block/trace/damage the hacker. So this is a strange entry but both games are hard for me to pin down. I know I like them, but sometimes it's hard to tell quite how much and which one I actually prefer. So to be controversial and because it's my list (and therefore nothing needs to make sense), I'm shoving them both here. ...comes from a world where city blocks are hexagons and, no doubt, monkeys fly upside-down. 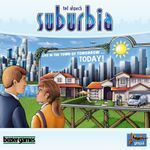 Suburbia is a splendid city building game with a look that I really like. It's also rather confusing with regards to scoring different hexagons, whether adjacent, or same colour depending on what icons your new city building has. Still, there's plenty of good stuff here and for yeeears gamers have been crying out for Sim City: The Game (because we don't count the actual Sim City card game as it's not very good apparently). I think what I like best is that, as well as taking one-off increases in cash and population, buildings also provide you with a positive or negative hit on your ongoing population or income tracks, meaning that, even though you may have a high population, each turn your population could actually be steadily shrinking, or that you're actually having to pay back your ill-gotten gains into the bank. That's cool. I don't own the game, but I do want to at some point soon. It's a good'un and there are plenty of buildings that you're randomly not using for each game, so there's some replayability there. ...is the bestest game representing the bestest sport in the entire world! 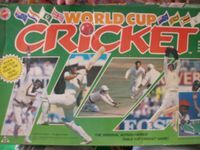 One of my earliest memories in life is lying in my nan's living room playing the precursor (Test Match Cricket - with Ian Botham and David Gower on the cover). When the batting mechanism finally broke, my parents replaced it with the newer World Cup Cricket - a game I still have today in all it's "I played this loads as a kid and now it's a bit tatty" glory. Ultimately it's like those baseball games and that jiggly, shaky American Football game - a love of the sport and happy memories of the game in childhood really adds to the enjoyment of the game. Having said that, as a hands-on, "dexterity" game, it's actually top notch. You can also get copies very cheap on UK ebay. Bonus. ...is a game I labelled as "ugly and half-hearted" the first time I played it. Wow, that was mean of me. Basically the game won me over despite myself and I realised that it deserved the accolades. 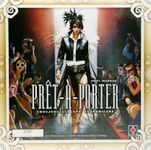 Having said that, I think it is still a little underrated by a lot of people on BGG. To be fair though, it took a while to grow on me, and throws up the horrible thought that maybe there are scores of games that I've dismissed as 5 or 6 out of 10s and never played again....that are actually quite good. Oh well, there are plenty more games in the sea and not enough hours in a day to give everything a second chance. I'm glad I persisted with this one though. ...feeds into my deep joy of being mean to other people. It looks like Carcassonne with triangles but is actually almost like an investment game disguised as a super light discovery/civ tile game. In Gheos you're building up the land like Carc. There are different coloured "nations" that you're getting onto the growing play area...BUT you're not actually one of those colours. Instead you're choosing to "invest" in the different nations by taking cubes of their colours. As the nations grow or shrink, you're scoring different amounts of points depending on how much "stock" you have in them. As nations go to "war" and invade another, you'll be trying to get rid of your now weaker cubes and grabbing the stronger ones. This leads to nations expanding and ebbing and makes for a very pleasing gaming experience as although you can have a vested interest in a certain nation, if it all goes wrong you can just jump ship and hop on board with another. ...is one of the campest games that I've played. You're all elves in this happy elven land and, hooray, you've come of age and become an adult! However part of this involves taking part in a splendid race around a very retro looking elvenland board, visiting all the different beautiful towns and making use of wild boar, dragons, unicorns, giants with carts, elfcycles and so on in order to do it. You are represented by a big, colourful jaunty boot. Mmmmmmm. Elfenland is cool because the way you can get around the board changes each time. 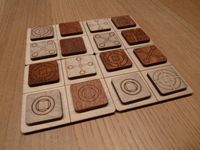 Players take it in turns to play the tiles they've drawn onto the map to "open" a pathway around the board. The pathway stays open for that round only and anyone can use it if they have the right cards to. The modes of transport (dragons etc) each have different ideal terrain and card costs depending on whether you're travelling across plains, through forests etc and it's just cool to either get everything right, or realise that you're a card short and your whole journey that turn has been ruined and you can't go where you wanted to. As far as modern games go, Elfenland is getting on a bit now but I still think it's a legitimately great game and worth a play of at least once. You may be surprised. ...absolutely nails the central issue in life: The later you get up, the happier you'll be. 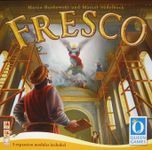 Fresco is uber-Euro, generally something I glaze over these days as I lose myself in the descriptions of trade values, shades of brown and multiple paths to victory. However it's also got a different theme (painting the ceiling of a cathedral) and, most importantly of all, it marries the theme to the mechanisms extremely well. Yep, it almost kinda feels like you're getting up early (or late) and sending your minions off to buy paint, mix said paint to make more complicated (...well, orange, purple etc) colours, paint parts of the ceiling, earn a few extra coins by knocking out dodgy portraits of local toffs and then finishing the day at the theatre so as to be a bit more cheerful for the next morning. Nothing feels like it's shoehorned in there. Everything makes sense as far as the "story" unfolds and everything you do if for a reason. Of course you're not physically painting, or mixing, or actually waking up at (shudder) 6am, but I can buy in to the tale and it makes the game far more enjoyable because of it. I think, a couple of plays in, I said that this is the best of this kind of Euro game and I think I might be right. It also looks rather beautiful too.